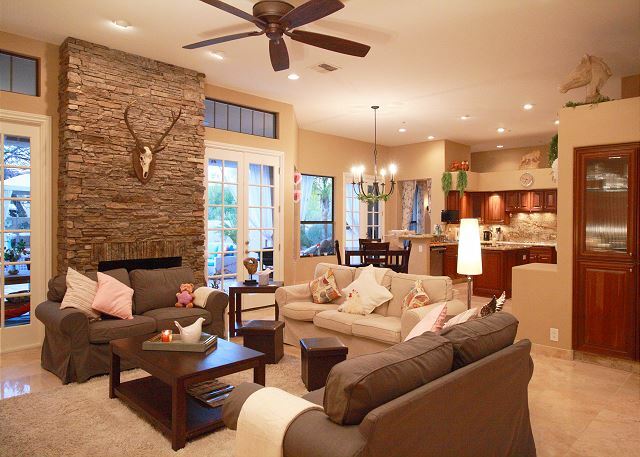 This contemporary 3,200sf single level home is situated in the Pinnacle Peak area of North Scottsdale, and sits on a large 1-acre lot surrounded by natural area open space. The open living areas provide plenty of natural light and the house boasts 11ft high flat ceilings throughout. The common living areas include the kitchen, dining room, family room and living room featuring a dramatic floor to ceiling stone fireplace. The family room hosts an 8-ft regulation pool table and a large flat panel TV. The living room flows seamlessly into the chef’s kitchen which features cherry raised panel cabinetry, slab granite counter tops, Viking electric cooktop with downdraft, 48-inch Viking refrigerator, Viking dishwasher, Viking oven w/convection microwave and warming drawer, trash compactor, and dual zone wine chiller. In terms of sleeping accommodation, the split floor plan provides a private master retreat to the West with hand scraped hardwood flooring and cozy stone fireplace. 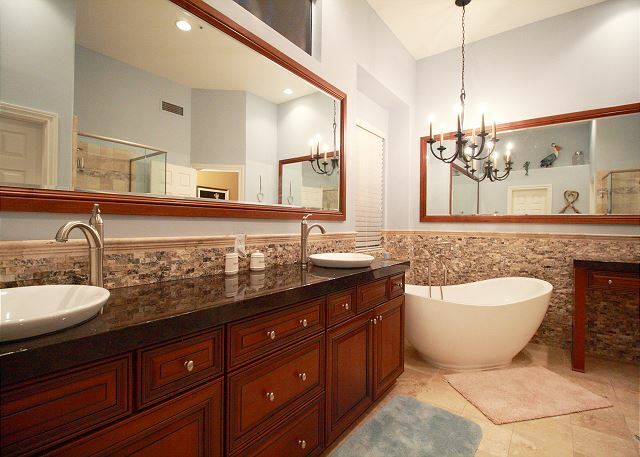 The luxurious master bath showcases split stone walls, granite counter tops with vessel sinks, separate shower, and stand alone bathtub. On the other side of the home are 3 bedrooms that are each finished to a high standard and 2 full bathrooms. 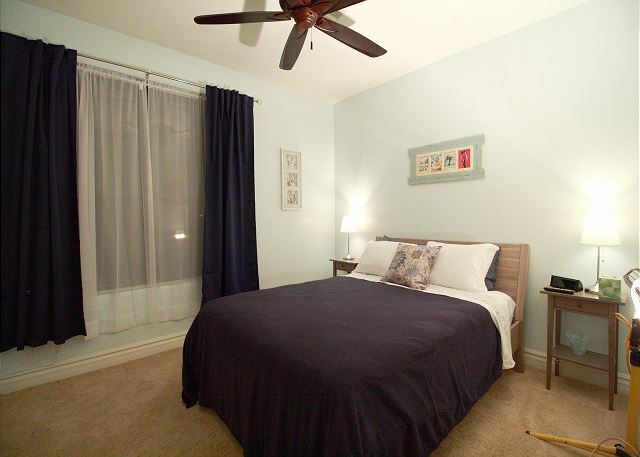 If additional sleeping space is needed, the house also provides two Frontgate EZ Beds complete with extra linens/blanket/pillows. We welcome families with small children and gladly provide the following baby/toddler items: a pack n' play portable crib, high chair and stroller. The pool is fully fenced for the protection of children. 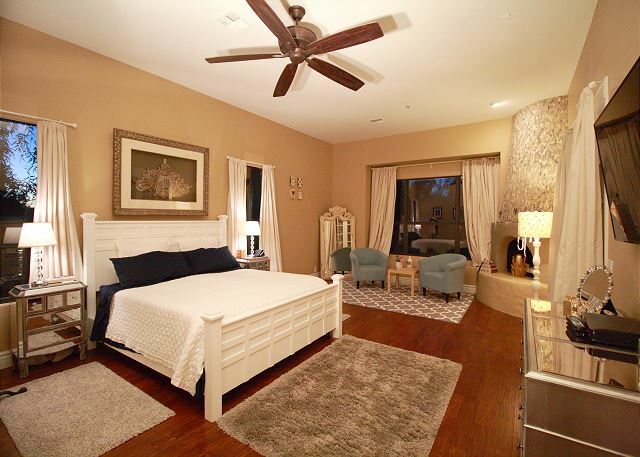 Each bedroom has its own television while additional large screen TVs are situated in the family and living rooms. The house has expanded cable TV and good WiFi. 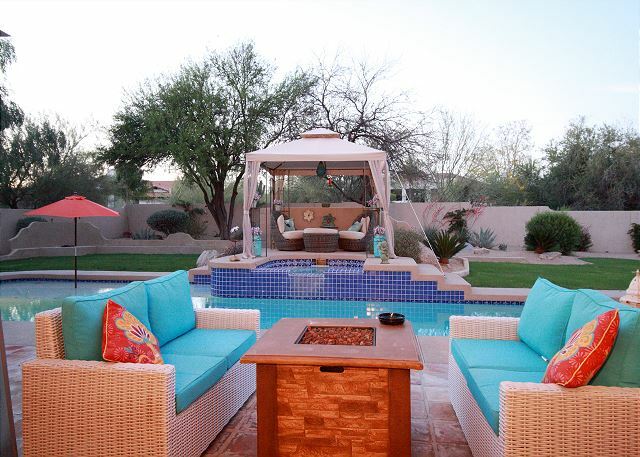 The welcoming garden includes ample seating, while shade is afforded by the covered patio and the poolside gazebo. The optionally heated pool is perfect for everyone - lap swimmers can enjoy the 60ft pool length while the shallows and the optional hot tub will attract those bent on relaxation. For evening comfort, there are two patio heaters and a gas fire pit. The three car garage is available for your use and the garage also hosts two bicycles. If you wish to stray from the house, the Pinnacle Peak area offers something for everyone. Within a 1 mile radius there is a large selection of restaurants and local shops while every golfer knows the treats that await in North Scottsdale. 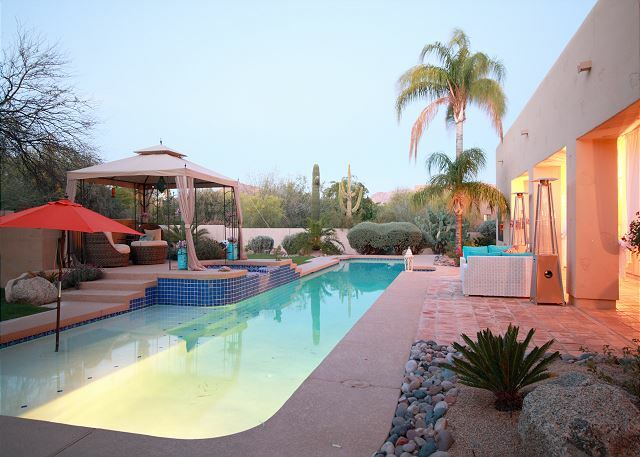 For those wishing to travel further afield, the 101 is but a 10 minute drive away, from where metropolitan Scottsdale/Phoenix becomes your oyster! A NOTE ABOUT POOL HEATING: The pool can be heated during winter months when the natural pool temperature drops due to lower outside air temperatures. Pool heating is optional and available for $50/day with a 3-consecutive day minimum. When heated, the temperature will be maintained between 83-86 degrees. We generally recommend that the pool be heated October 15th through May 31st in order to be a comfortable swimming temperature. Very enjoyable. Great location, quiet neighborhood. My husband plays golf and was within 20-30 minutes of all his favorite courses. 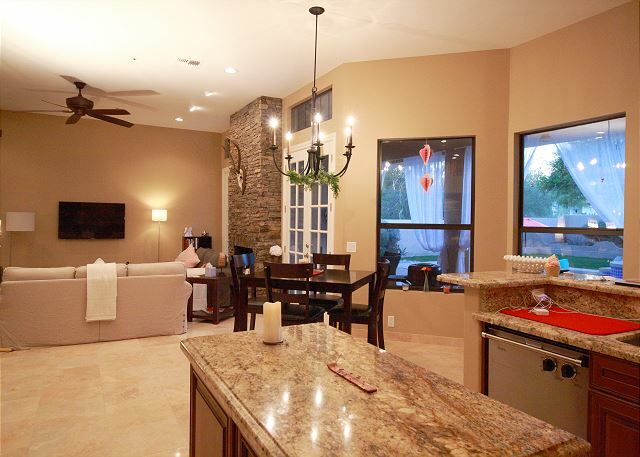 Grocery shopping and great restaurants within 3 miles or 20 minutes to Scottsdale Quarter. Loved the outdoor area, I think we spent 90% of our time back there. I only have one suggestion: The backyard is beautiful, however at night you can't see the lovely landscape. We used the outdoor heaters for light as well as a little heat. Please add lights. When we ran out of propane the management company came by and refilled. Of all the places we have stayed the current management company is far superior to any we have experienced. The friendliness, response time, and the service they provided was very professional. During our stay we had a few wind storms, the next day they were there to clean the pool and the surrounding area. Thanks Cap! 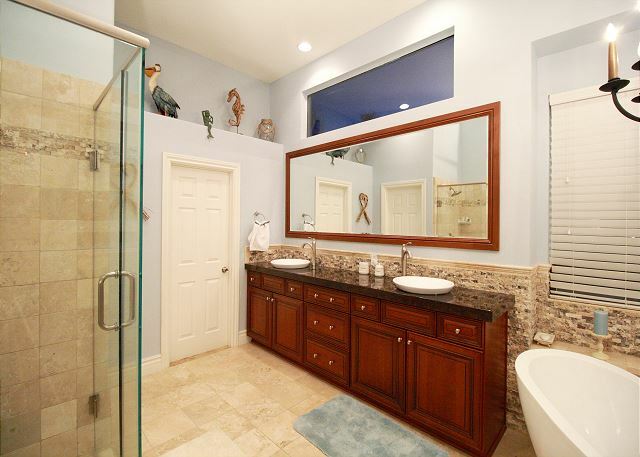 A big thank you goes out to Desert Vista Luxury Homes. If we weren't building our own home in the Phoenix area, we would certainly stay here again. We rented this house for the month of March. The backyard was great, the pool and hot tub were wonderful. We enjoyed morning walks in the quiet neighborhood, the location of the house is great. The property managers were unbelievable, very quick to respond to any concerns, by far the best we've ever experienced. Lovely, bright, comfortable house. We thoroughly enjoyed our stay and definitely would recommend this property to everyone. We had a wonderful time at this beautiful home. Wonderful experience. Superb floorplan. Ideal for 3 couples and could handle 4 couples easily or a family. Only drawback, was surprised with the hot weather that the pool was not warmer. Lovely home, great, quiet location, with easy access to good local restaurants and shops. House layout worked well for us and the pool and north facing shaded outside area got a lot of use. Owners helped with a couple of requests we had and made the experience and excellent one. We intend to come back. Great Visit ot the Desert Retreat! Great visit! WE had a question that came up as we had a reply with -in minutes of the text we sent!